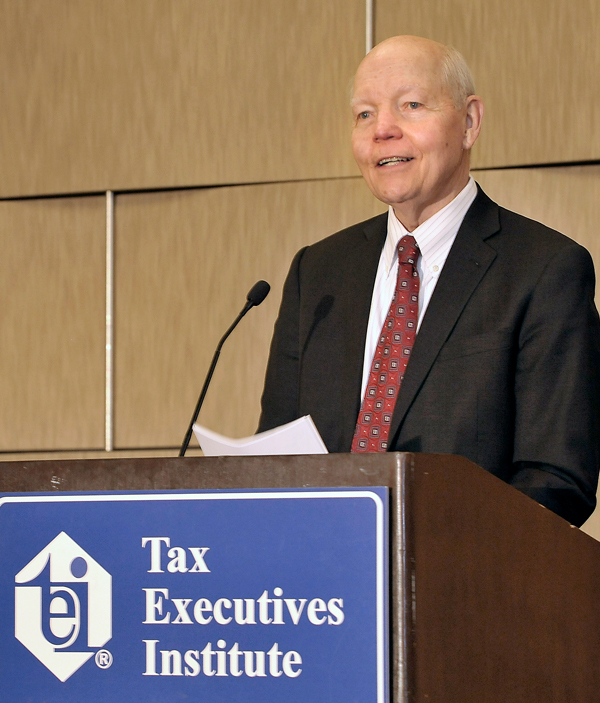 Commissioner of Internal Revenue, John Koskinen, discussed the challenges that the IRS is facing and the value TEI brings to its members and to the IRS as a liaison. 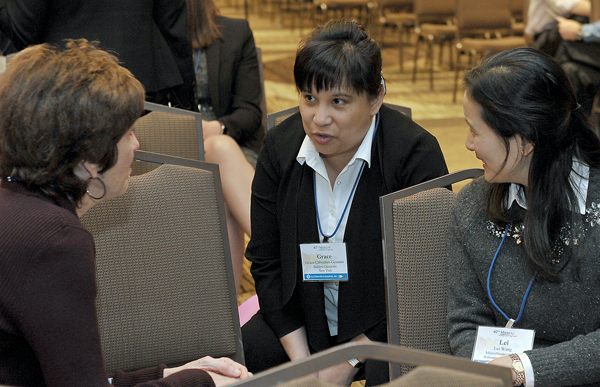 Conference attendees had multiple opportunities to network, reconnect with old friends, and make new ones. International President Janice Lucchesi introduces the Commissioner of Internal Revenue, John Koskinen, at Tuesday’s luncheon. 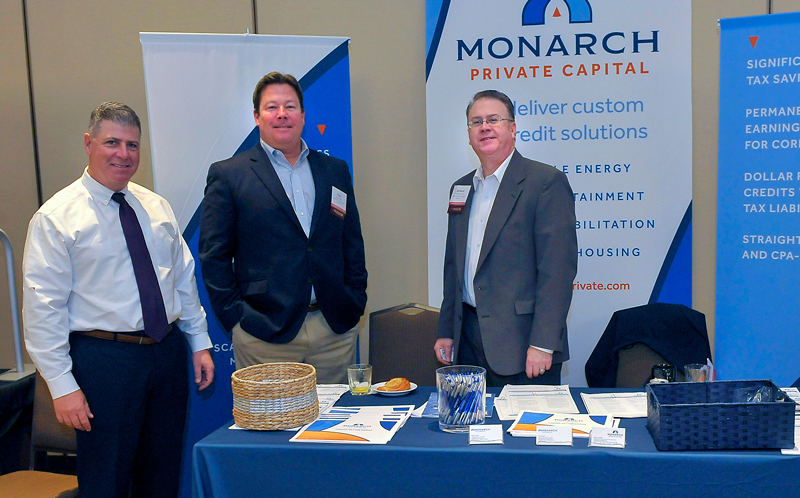 TEI was pleased to welcome Monarch Private Capital to our cadre of sponsors. Monarch is a Gold Sponsor, and we look forward to having them join us at future conferences. Attendees at the Midyear Conference helped the Emerging Tax Professionals subcommittee prepare care bags before Tuesday’s “Roaring 20’s” reception. Over 125 bags of toiletries, sports drinks, and socks were donated to the DC Coalition for the Homeless, to be donated to those in need in the local community. 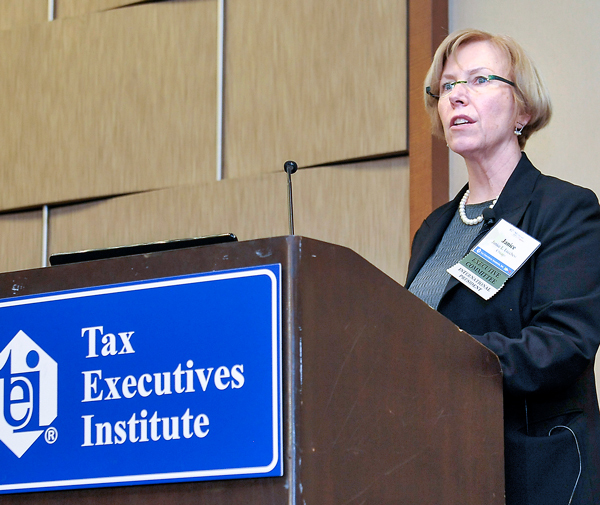 Moderated by Nathan Andrews (Deloitte Tax LLP), the Tax Technology Roundtable continues to be popular at TEI conferences. Speakers Brian Billett (Corptax Inc.), John Cowan (Vertex Inc.), Brad Hearn (Longview), and Stephen McGerty (Thomson Reuters ONESOURCE) discussed a wide range of critical technology topics that impact attendees daily. Monday’s luncheon roundtable, “What Tax Reform Might Look Like,” was engaging and entertaining. John Gimigliano (KPGM LLP), Nick Giordano (Washington Council Ernst & Young LLP), Rohit Kumar (PricewaterhouseCoopers LLC), and Jonathan Traub (Deloitte Tax LLP) spoke to a standing-room-only crowd about the current political landscape and how it might influence tax reform.